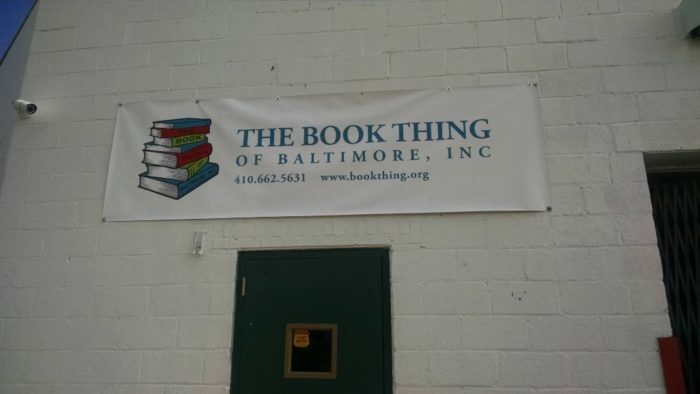 You can find The Book Thing along Vineyard Lane in Baltimore. The reason we put the word store in quotations is because it’s not really a store if you never spend a cent. That’s right. This place runs entirely on donations and they arrive in the thousands each and every week. You never know what you’ll find at The Book Thing. 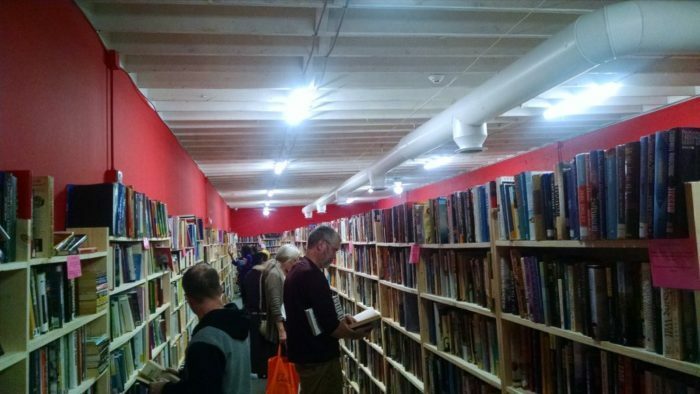 From text books to romance novels and more, there are always new treasures to be found. 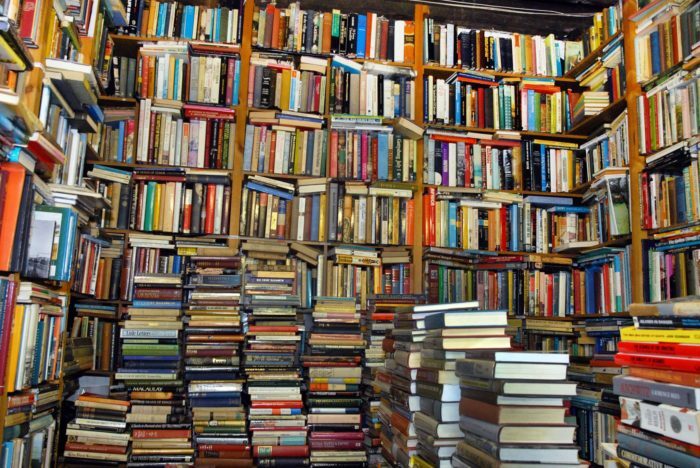 Just look at all those books to choose from! 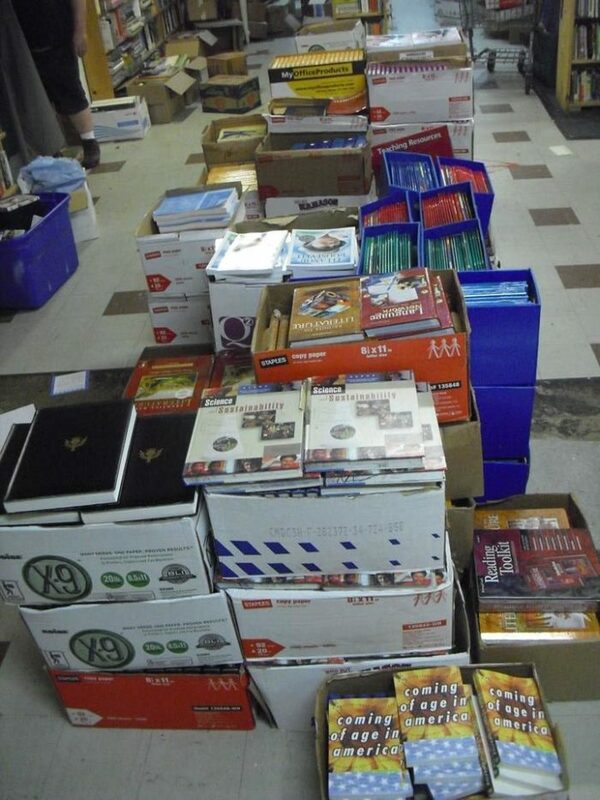 Or simply bring a giant box and load up on free books. There’s no limit to how many you can take. Seriously! 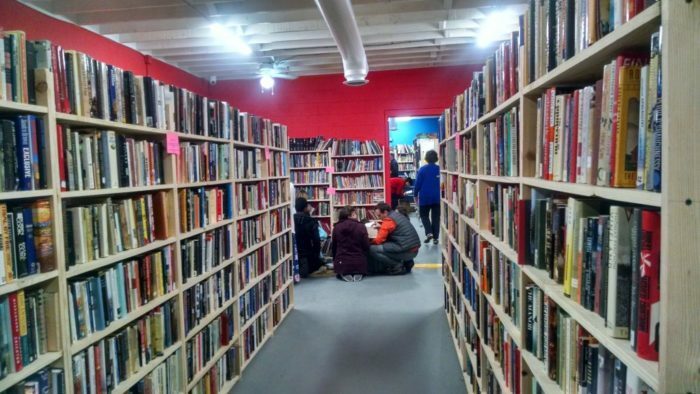 If you’re interested in donating books, you can do so 24/7 at the book drop located outside of the warehouse. Visit the website here or follow the Facebook page. For more Baltimore area gems, click here. I love places like this! I’ve added it to my places to journey and see. Thanks for sharing!